In the late 1980s, as a decade of China's Reform and Open Door Policies proffered a transformation of the country, anxieties over social change, economic inequalities, environmental degradation, weakness on the global stage and a sclerotic political system generated a national 'crisis consciousness' (youhuan yishi 忧患意识). To use Gloria Davies' expression, 'worrying about China' was widespread. As events would prove, people had good reason to be worried, and they still do. From even before the 2008 Beijing Olympics a new wave of 'China worry' has been swelling in the People's Republic. At the same time, and despite its awareness of the multiple problems besetting the country, the party-state has advertised the state of the nation as being one reflective of a 'Prosperous Age' (shengshi 盛世), or 'Harmonious Prosperity' (hexie shengshi 和谐盛世). Shengshi is an ancient expression and it has been applied to a precious few periods in Chinese history. Such 'golden ages' have varied in length and content, but it is commonly recognized that during the Han 漢, Tang 唐 and Qing 清 dynasties there were remarkable periods of social grace, political rectitude and cultural flourishing. The self-proclaimed Prosperous Age of today's People's Republic has been nearly a century in the making; its achievement is far more contentious. In this issue of China Heritage Quarterly we feature the views of a number of prominent historians who, in late March 2011, gathered in Hawai'i for a roundtable at The Asian Studies Association annual conference to discuss China's Prosperous Age, its histories and significance. In Features we also include 'New Words of Warning in a Prosperous Age', which discusses the Children of Yan'an whose sense of China's impending political and social crisis have led them to formulate an appeal to the Chinese Communist Party's next congress, scheduled for late 2012. We also offer selections related to the Prosperous Age from our new CIW-Danwei Online Archive. T'ien Hsia offers readers a recent interview with the Sinologist Pierre Ryckmans, by Daniel Sanderson; it reports on a workshop devoted to 'Tianxia' 天下; provides material from a new Penang Hokkien dictionary, and reproduces Leigh Jenco's review of a problematic book on non-liberal East Asia and the invented Confucian tradition. In Articles Nadia Sartoretti discusses a TV series devoted to the Prosperous Age of the Tang, Michael Churchman takes issue with the slow silencing of linguistic difference in the Chinese world, while Linda Jaivin discusses another kind of translingual strangulation. For my own part, I advance a view on the 'exit' of China's most troublesome artist. In New Scholarship we are delighted to publish a review of a major exhibition of the work of Felice Beato by the New York-based photographer Lois Conner, a colleague whose own work has often featured in these pages; two conference reports, one on research into Chinese gardens and the other on 'representing China'; and, a charming translation by Duncan Campbell of the Song-dynasty writer Su Shi's essay 'Master Li's Mountain Hut Book Collection'. General wisdom, or common sense, would suggest that to declare a particular period or an era to be a Golden or Prosperous Age before it is over may be ill advised. It is often a fraught proposition to determine whether a renaissance is underway in the midst of a period of rapid socio-cultural change. And that begs the question whether frenetic economic activity is the ne plus ultra of human endeavour. As is so often the case with heroic figures, pivotal historical moments, crises, tipping-points and so on, the passage of time, a greater understanding of the complex interaction of politics and society, as well as culture and economics, individuals and mere happenstance, all contribute to more nuanced, if not 'correct', evaluations of a certain epoch. In China's modern history, however, enlightenments, rebirths and revivals have often been hastily announced and hailed in a mood of anxious exuberance. This often happens long before conclusions based on temperate reflection following a decent interval, measured understanding and deep reflection, can be drawn. 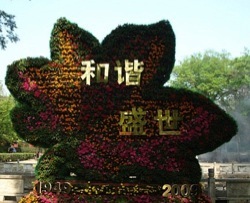 In 2005, during the Central Chinese TV (CCTV) Spring Festival Gala (Chunjie Lianhuan Wanhui 春节联欢晚会)—the most watched television event in the Chinese calendar, and arguably an annual moment of celebratory national unity—one of the featured dance performances was called 'Grand Celebration of the Prosperous Age' (Shengshi dalianhuan 盛世大联欢). Two years later, during his 2007 visit to the mainland the Taiwanese-based rapscallion historian and writer Li Ao 李敖 declared in a speech at Tsinghua University in Beijing that China was enjoying its first true Prosperous Age shengshi 盛世 since the Han and Tang dynasties (ever the contrarian Li pointedly overlooked the zenith of the Manchu-Qing). Also in that year, but rather in the paeans heaped on the Seventeenth Congress of the Chinese Communist Party, a song performed by the nationally famous singer Song Zuying 宋祖英 chimed that China was now 'Walking Towards an Harmonious Prosperous Age' (Zou xiang hexie shengshi 走向和谐盛世). A nation can be said to be enjoying a Prosperous Age when it has realized certain achievements both in terms of its domestic affairs and international politics. On the international scene it features: military might; booming trade and considerable influence. Even before the various official and semi-official acknowledgements of China's entry into a new 'prosperous age'—the first self-proclaimed era of egregious prosperity since the Kang-Yong-Qian 康雍乾 golden century of the High Qing (c.1680s to 1790s)—advertisers were already using the ancient expression shengshi to hawk their products. In the world of mercantile boosterism, for example, the Shanghai Tobacco Company which produces 'Double Happiness' (Shuangxi 双喜) brand cigarettes, used the advertising tag 'Prosperous China, Double Happiness Comes A'knocking' (Shengshi Zhonghua, Shuangxi lin men 盛世中华，双喜临门) when China successfully bid to host the 2008 Olympics in Beijing and the 2010 World Expo in Shanghai. More significantly, it was initially historians of Qing dynastic history who, as early as 2001, called for a project aimed at producing a new history of China's last dynastic empire. In particular Dai Yi 戴逸 and Li Wenhai 李文海 made a case for the project in the leading mainland Qing history journal under the title 'An Age of Prosperity, an Incomparable Work in the Contemporary Era'. In both this, and a speech made by the elderly scholars Ren Jiyu 任继愈 and Ji Xianlin 季羡林, the historians argued that there was a need to produce a definitive history of the defunct dynasty. They pointed out the problematic nature of the Draft History of the Qing (Qingshi Gao 清史稿) compiled in the early years of the Republic of China by former Qing scholar-officials, and they reminded their audience of attempts to launch a major scholastic project devoted to Qing history in the early years of the People's Republic, again in the 1960s and once more following the initiation of the post-Cultural Revolution Reform and Open Door era. Above all, Dai and Li observed a key aspect of China's historiographical tradition holds that 'with the change of regime a history [of the previous ruling house] is to be compiled' (yi dai xiu shi 易代修史). Putting aside the fact that this elides the historical status and role of the Republic of China, these People's Republic historians could feel confident that their case was bolstered by a knowledge that an undertaking of the kind they envisaged—it would eventually be called a 'state project' (guojia gongcheng 国家工程)—would be an act rich in symbolism, one signifying that China itself had entered a new Prosperous Age. One would also observe that these academics were successfully able to argue a case for unprecedented state funding for a scholastic project. When the National Qing History Project (Guojia Qingshi Zuanxiu Gongcheng 国家清史纂修工程) was launched in August 2002 a budget of some six billion RMB was allocated to 1,600 scholars from various disciplines to undertake ten years of research that was aimed at producing a multi-volume account of the last imperial dynasty of China. But the discussion about a new history of the Qing was far from being merely academic. For as those attuned to the revival of interest in late-imperial Chinese history are aware, issues revolving around national unity, power, territorial integrity and global sway are today discussed in terms not of revolution but rather of empire. The proponents of the compilation of a new history of the Qing were also mindful of the revival of public interest in the last dynastic empire during the 1990s, as well as the declaration by the Party General Secretary Jiang Zemin in 2001 that the Communist Party was leading the 'grand renaissance/revival/fuxing of the Chinese nation' (Zhonghua minzu weidade fuxing 中华民族伟大的复兴). From their [the Qing historians Dai Yi and Li Wenhai, et al] point of view this project is important primarily because of the Qing's relevance to contemporary China. They argued that the roots of some of the domestic and international problems that China faces today are part of the Qing legacy; and the Qing government's success and failure in addressing these problems could offer some invaluable historical lessons. 'Evil people'; 'unsavory characters'; 'crafty'; 'cunning,' and 'troublesome clerks and runners'; 'mean and deceitful,' 'haughty and contentious,' 'rash and perfidious' commoners—these were stock phrases that high-ranking provincial officials used to describe those less exalted but locally powerful people operating in a much-heralded age of peace and prosperity (shengshi). Although the mid-eighteenth century was prosperous from a macro-perspective, it certainly did not always feel so from an individual's perspective. Philip Kuhn rightly reminds us that 'from the standpoint of an eighteenth-century Chinese commoner, commercial growth may have meant, not the prospect of riches or security, but a scant margin of survival in a competitive and crowded society' and that a 'scramble for existence in an uncertain environment may have been a more vivid reality in most people's lives than the commercial dynamism that impresses us in hindsight'. —From Michael G. Chang, A Court on Horseback, Imperial Touring and the Construction of Qing Rule, 1680-1785, Cambridge, Ma. & London: Harvard University Asia Centre, 2007, pp.145-46. The quotations from Philip Kuhn are taken from his Soulstealers: The Chinese Sorcery Scare of 1768, Cambridge, Ma. : Harvard University Press, 1990, p.36. Since its creation in 2005 China Heritage Quarterly has been vitally interested in the interplay between heritage issues, history, culture and contemporary China. Under the rubric of New Sinology we have pursued our investigation into the complex nexus of past and present in a way that we hope helps illuminate both. We consider the present era of revivals in Chinese history—revivals that embrace the dynastic, the republican and earlier periods of the People's Republic—while understanding the shifting demands of the contemporary, and encouraging an understanding of how historical resonance can enrich as well as encumber the present. This approach is underpinned by broader humanistic concerns, rather than by evanescent academic or current affairs priorities. This issue of China Heritage Quarterly brings together a number of historians to address the topic of 'Shengshi Zhongguo 盛世中国 Flourishing China, myths and realities'. Their remarks originally featured at a roundtable at the annual conference of The Association for Asian Studies (AAS). That forum, held in Honolulu on 31 March 2011, was the result of the best kind of intellectual discussion—one initiated over good food and wine. That earlier exchange had taken place following a workshop on knowledge production and Chinese Studies organized by our colleague Wen-hsin Yeh at the Berkeley campus of the University of California in May 2010. Wen-hsin closed the discussions with a meditation on writing Chinese history today in the international academy, its prospects, its limitations and its possibilities. She encouraged us all to contemplate the trajectories of historiography as the Chinese academy grew in prominence and volubility; she asked us to consider too how our own practice as researchers and educators would embrace what should, by all accounts, be the intellectual rise of China, one concomitant with its burgeoning global economic status. On our last evening together, a few of us—Wen-hsin, Bill Kirby (Harvard University), Tim Cheek (University of British Columbia) and myself—went up into the Napa Valley to visit wineries and share a meal. It was then that, in light of Wen-hsin more formal peroration at the workshop and in consideration of remarks made by Bill from his perspective as someone working for Harvard in Shanghai, and from mine as the founder of a new research centre in Australia, that we discussed the commemorative year of 2011 and issues to do with China's vaunted new shengshi 盛世 (prosperous or golden age) and what it might mean for thinking about China's past, writing history and teaching it today. In recent times there has been considerable discussion of the rise and fall of great nations and empires. Ideas related to emerging and declining powers have exercised popular commentators and scholars both in China and elsewhere. As the new century unfolds amidst waves of economic change and political realignment it is not surprising that old debates about empire and prosperity, overreach and decay should be rekindled by new participants, as well as garnering academic attention. Strong unified states, and their opponents, often project national narratives in terms of historical destiny. We believe that the urgency of these discussions in the public realm should also give academics pause to consider contending narratives and their historiographic underpinnings. On the eve of the centennial commemoration of the Xinhai Revolution 辛亥革命 of 1911 and the founding of China's first republic we think that it is timely to re-consider ideas related to 'flourishing ages' in Chinese history—be they imperial, modern or contemporary. This proposed roundtable took as its theme 'Shengshi Zhongguo, Flourishing China: myths and realities'. We invited our colleagues Gloria Davies, Klaus Mühlhahn (Indiana University) and Mark Elliott (Harvard University) to join our deliberations and with their help we bracketed out considerations with two works that address the promise of and the nascent threats to a flourishing world or a prosperous age. These were Zheng Guanying's 1893 Words of Warning to a Prosperous Age (Shengshi weiyan, 鄭觀應《盛世危言》), which appeared on the eve of the Sino-Japanese War. It is a book that had an impact on the 1898 Reforms initiated by the Guangxu emperor of the Qing dynasty. The second work was Chan Koon-chung's 陳冠中 sardonic novel, In an Age of Prosperity: China 2013 (Shengshi Zhongguo, 2013《盛世 中國。2013》, the authorized English translation translates the title as The Fat Years), which tells a story set in near-future Beijing, capital of regnant harmony (for a review of this latter book, see Linda Jaivin, 'Yawning Heights' in the June 2010 issue of China Heritage Quarterly). Both works were concerned with the much-celebrated concept of 'the flourishing age', and its obverse, dystopia, as well as the incipient threat of precipitous change. In considering this 120-year period on the eve of the centenary of the Xinhai Revolution, we were mindful that various moments in modern Chinese history had offered the promise of transformed socio-political conditions. For example, the New Culture Movement (1917-27)—a period eventually celebrated variously as a 'renaissance' and an 'enlightenment' (one is reminded that Sun Yat-sen called his group the China Renaissance Society, and that Hu Shi called the New Culture era a Chinese Renaissance)—was a time in which many of the major questions related to Chinese modernity and its global presence were clearly articulated. 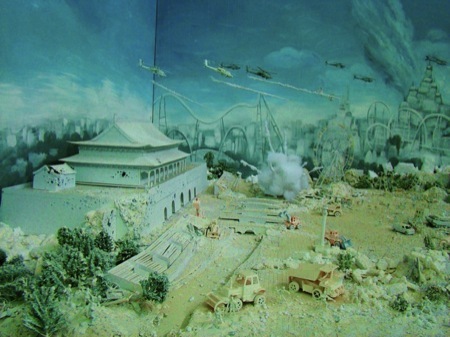 Similarly, the Nanking Decade (1928-37) would be seen as a period of rapid change and efflorescence. For a moment following the Sino-Japanese War there was a possibility of a rebirth, and there is no doubt that it saw a sudden rise in intellectual contestation. The early years of the People's Republic of China proffered national revival and historic transformation. For some the Cultural Revolution would claim to fulfil a revolutionary impetus that had its origins in the republican crucible, and now there are those who hark back to High Maoism to 'recoup intellectual resources' for the country's future. The post-1978 era is now discussed as being the ultimate realisation of the long durée of reform, a process that is generally dated from the period of the Opium Wars in the nineteenth century. That time of 'passive reform' (that is an openness forced on China under the threat of arms and as a result of trade demands) was frustrated by systemic, social, political, international and cultural factors. Meanwhile, since the late 1980s, democratic change in Taiwan has presented a practical realisation of the hopes of the early Republic of China. In its more traditional modality, the ideal shengshi was regarded as an age of good rule and social quietude that would be hard won; an age that usually followed a period of corrupt government, turmoil, disunity, the collapse of moral standards and social chaos. The most commonly extolled prosperous ages in Chinese history are: that of the early Han dynasty; that of the Zhenguan and Kaiyuan reigns of the Tang; and the era of the Three Emperors (Kangxi, Yongzheng and Qianlong) of the Qing dynasty. A range of other shengshi-like periods have been codified as part of China's historical repertoire by modern writers. Rather extensive the list claims that 'golden ages' are said to have occurred during: the Shang, Eastern Zhou, Western Han, Eastern Han, Tang, Song, Ming and Qing eras (武丁中興 (商朝), 成康之治 (西周), 文景之治、昭宣中興 (西漢), 光武中興、明章之治 (東漢), 貞觀之治、永徽之治、開元盛世 (唐朝), 洪武之治、永樂盛世、仁宣之治 (明朝)，康乾盛世 (清朝) ). Few would deny that ages of prosperity have often been realized at a high human cost. As we note in the Features section of this issue of China Heritage Quarterly, a Prosperous Age once declared is not necessarily universally celebrated. Apart from the reflections of colleagues on the topic based on presentations at the AAS forum in March 2011, we feature a selection of articles on the subject of the Prosperous Age from Chinese-language sources. This material is drawn from the CIW-Danwei Online Archive established by the Australian Centre on China in the World in 2010. How does, or should, the articulation of a Prosperous Age in official, popular and academic Chinese culture affect thinking about Chinese history, and its place in world history since the end of the last celebrated era of shengshi? If, indeed, the contemporary celebration of a Prosperous Age indentifies vital continuities between the Qianlong era (or more broadly the Qing dynasty) and today, then what are the facets of that period that receive particular attention—political, geopolitical, social, cultural, intellectual? And within this trans-historical comparison of shengshi some commentators in China have argued that just as the Kang-Yong-Qian Three Emperors period contained within it the seeds of dynastic decline, does not the vaunted 'golden age' of the People's Republic not also present symptoms of systemic crisis? How do narratives, popular and academic related to the rise, fall and rise of empires that has been common in China and more broadly in the last decade or so, influence our writing and thinking about Chinese history? How does this play in to discourses that describe Chinese history still in terms of 'cycles' and 'return'? Does the articulation of a shengshi, no matter how it is defined in historical terms, or an 'Harmonious Prosperous Age' (hexie shengshi 和谐盛世) to employ the formula du jour, allow for a rewriting of history or a 're-orientation' as Gunder Franke suggested many years ago? How are the legacies of people like Zheng Guanying—a man with both a successful history in industry and trade and a popular impact as a thinker—feature in the Chinese world today? In terms of the role of the 'intellectual' (or rather the engaged writer/thinker) how do similar figures feature in creating contemporary narratives of China that engage with the work of historians and theorists? One of the most celebrated 'golden ages' or shengshi in Chinese history is that of the Zhenguan 貞觀 reign period of the Tang dynasty (627-49CE), a time when Taizong 太宗 (Li Shimin 李世民) was advised by the fearless Wei Zheng 魏徵. If, taking the view that traditional tropes overlap with lived contemporary reality, a mark of wise rule and a true shengshi is fearless criticism of power, then how is China's 'harmonious shengshi' to be understood in historic terms, as well as in the context of Chinese revivalism? In his 2010 book on renaissances Jack Goody identifies three elements leading to renaissances or rebirths in cultures over the last millennium: 1. A revival of classical knowledge; 2. Partial secularization; and, 3. An economic and social transformation. Goody further posits that 'all literate societies have periods of looking back, when the old is re-established sometimes with a renewed burst of energy, leading to a flowering of the culture. They have also periods when the religious element is played down, leading to humanistic episodes that provide humans with greater freedom, both in science and the arts.' How does such a view sit with the realities of the ideological protectionism of the People's Republic, its guided media, its circumscribed academic discourse and the tireless policing of opinion on- and offline? Can these all be understood, elided or excused as part of a narrative of Chinese exceptionalism? This issue of China Heritage Quarterly offers some disparate considerations of these and other issues. Our exchanges on this topic will continue. Importantly, we note that a range of writers in China see a profound disconnect between the material wealth of a rising China and its deficit as a modern civilization (for some details, see 'New Words of Warning in a Prosperous Age' in the present issue). The Shanghai-based intellectual historian Xu Jilin, whose work has often appeared in this journal, is one of the most outspoken of these thinkers (see Gloria Davies' essay in Features). Issues raised in Xu's work will feature at our next gathering, a workshop on the theme of 'Universal Norms and Dangerous Values' to be held at the University of British Columbia, Vancouver, in September 2011. Details of those discussions will feature in a workshop report in the September issue of this journal. 任继愈, 季羡林, '在 "清史" 编纂座谈会上的讲话', Studies in Qing History (Qingshi yanjiu 清史研究), 3 (2001). For the text of Ren and Ji's remarks, see: http://www.lw23.com/paper_73773031/. For the official site of the project, see: http://www.qinghistory.cn/cns/qszx/index.shtml. From Zhao Ma, 'Research Trends in Asia: "Writing History During a Prosperous Age": The New Qing History Project', Late Imperial China, vol.29, no.1 (June 2008): 120-45, at pp.121-22. Jack Goody, Renaissances: the one or the many?, Cambridge University Press, 2010, pp.8-9 & 5 respectively. See 许纪霖，《普世文明，还是中国价值？——近十年中国历史主义思潮之批判》，原载《开放时代》杂志，2010年第5期 online at: http://blog.tianya.cn/blogger/post_read.asp?BlogID=1744388&PostID=25207362; 《中国要的是什么样的文明崛起？》, online at: http://www.qunxue.net/Article/TypeArticle.asp?ModeID=1&ID=7057; and,《中国发展不能自外世界主流文明》, online at: http://www.360doc.com/content/11/0311/10/5045244_100115280.shtml.